OLDBICI is the place for vintage bike lovers and collectors, a place where people with the same passion can present, trade, buy or sell the finest vintage bikes, frames, parts, retro clothing and accessories. OLDBICI.com is one of the most important website of parts and accessories for vintage road bicycles – enjoying considerable international success. A website dedicated to friends and collectors of vintage bicycles and parts. OLDBICI offers specific buyers guides, estimations, certificates and brokering services for vintage bicycles. We are based in Italy, between the Milan and Venice (North Italy). Another goal of OLDBICI is to provide a vintage road cycling knowledge for everything from restorations to general maintenance to researching the cycling history through the bicycles, parts and our blog. OLDBICI is ever growing, changing, and improving – so be sure to visit back often to see what is new. We are OLDBICI and this is our passion. 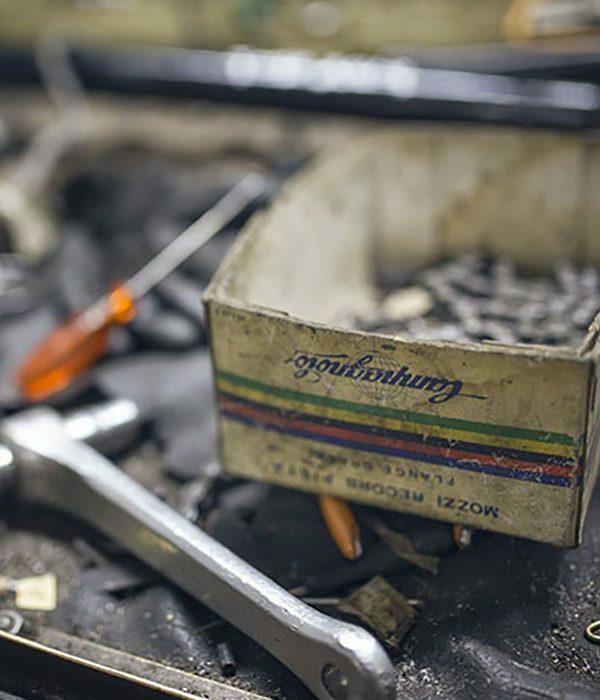 OLDBICI offers professional restoration services on vintage bicycles, frames and parts. Send us an email with some pictures and details on what type of restoration you would like to have done. We provide free quotes for all restorations. Alignment and Structural Check – before we begin a restoration on your complete bicycle or frame, we check to see if it is still safe to ride by performing a complete alignment and structural check. Professional Paint-Stripping frame and fork – old steel framset, exposed to the elements for many years, will be treated with the utmost care removing old layers of paint carefully without damaging the tubing in any way. Safety check and small Repairs – with the bare tubing is exposed, it becomes easier to see if there are any small dents or flaws due to oxidation, use or previous poorly executed restorations. Any issue uncovered during this step in our restoration will be fixed. When the frameset has big problems and structural issues – sometimes, there are frames that have bigger issues… in these cases, we collaborate with professional frame-builders to fix the frame staying faithful to the original nature of your bicycle. New Chrome – re-chroming a frame or fork is a key step in the restoration process (where applicable). A new chrome-job breathes new life into a frame with amazing results. New Paint and Decals – faithfully replicating paint and decals is an important task. We are able to replicate most Italian paint-schemes between the 60s and 90s. We are also able to replicate decals based on the originals. The steps we normally follow are: chromed surface masking, surface preparation, up to 3 layers of base coating, between 3 to 6 layers of color – depending on the job – and up to 3 layers of a finish coating. Between each and every layer of paint, the frame is carefully sanded to ensure paint adheres properly and has a smooth finish. The final step is to polish the frame and fork.